Our trip to Buttermilk Falls Farm has come and gone once again. 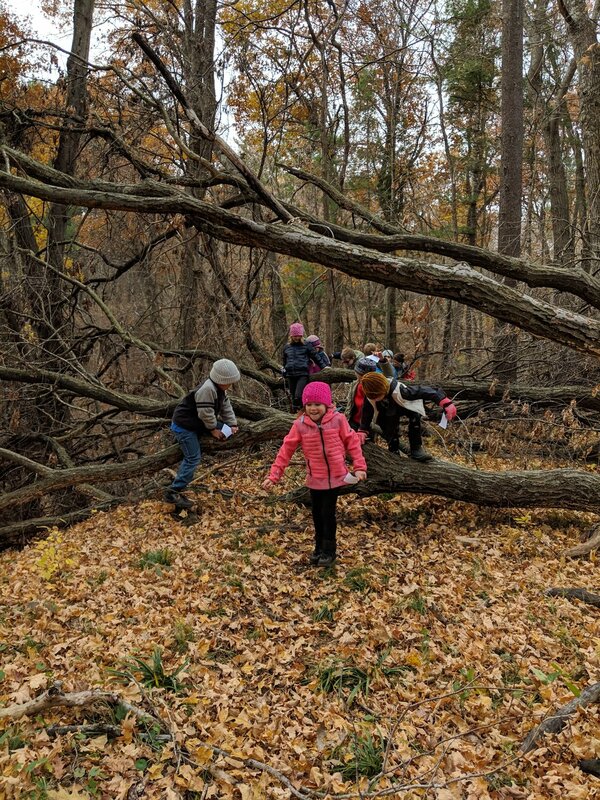 After some wrestling with mother nature and some rainy days, we finally got some sunshine and each classroom had the chance to spend a glorious day at the farm. 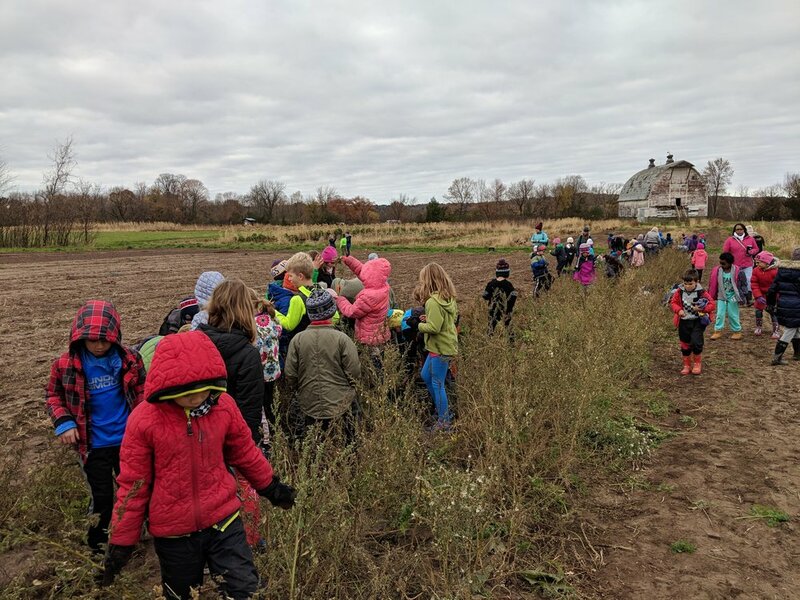 With our program growing, we recognized that there will be challenges when planning a trip to a farm with 130 children, but we also recognized that this tradition of going to the farm is something worth holding on to. Great River has a beautiful partnership with the farmers at Buttermilk Falls Farm out in Osceola, Wisconsin and we find it important to introduce the students to the land and to the farmers - Christina, Carter, and the many eager workers that do residencies at the farm - early on in their experience with Great River. 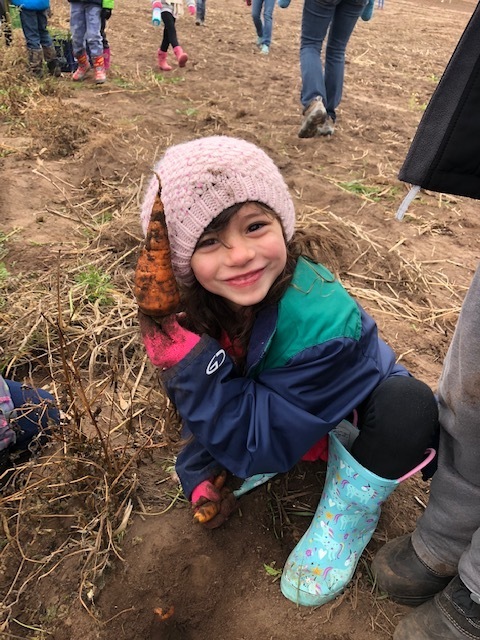 As they grow and progress into the adolescent program, they will already be familiar with the land and the people that work it and they will also get the chance to live and work on the farm for one of their key experiences. We find this trip and partnership valuable for many reasons. We get to spend some quality time outdoors, hiking in the forest, hearing waterfalls, exploring caves and hallow logs covered in lichen, and see some majestic wildlife. This trip to the farm also allows us to see our biology curriculum come to life. The students got to examine different types of seeds and harvest some of the fruit that those seeds become. They also learned how to care for strawberries and prepare them for winter by covering them in a blanket of straw. Christina spoke with many of the students about what constitutes an acre and they actually walked the perimeter of an acre. The students also got the chance to learn about the animals they keep at the farm and how they're cared for. They especially loved the gentle giant, Almo (the polar-bear-sized Pyrenees) as he wandered freely across the property and often lead the way to each of our activities. On our bus ride home, it was wonderful to hear stories about the students favorite memories from the day... picking out gourds, picking corn, balancing on huge tree longs. We also talked about what it be like to have a farm and how their farm would look ... their responses were so delightful. Many of the students even fell asleep in their seats (some on top of each other). We cherish our partnership with Buttermilk Falls Farm and the wonderful people who run it. It's also important to note that they are open to the public and host a number of activities as they are a CSA and a Folk School. Please feel free to check out their website at http://www.buttermilkcsa.com/. Here's to hoping you get the chance to experience this little slice of heaven just an hour away.